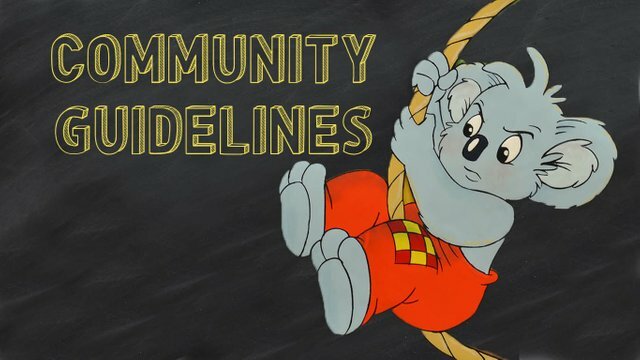 Like the STEEM blockchain, Blinkybill is based on a 100% transparent policy. All the transactions, upvotes, comments etc of @blinkybill are available for review by anyone here. @blinkybill must, therefore, operate according to a pre-defined set of guidelines and rules. These guidelines are formulated for transparency, fairness and most importantly mutual benefit to all members. This system is automated and done through trusted curation avenues. To ensure the community support upvotes do not interfere with delegated upvotes there is failsafe cut off at 90% VP. This community support will be reduced as more delegated members join blinkybill and the VP is exhausted easier. The goal is to consume the VP on a daily basis so that it sits at 80% by the end of the day. @blinkybill will to the best of his ability maintain a voting power of 80% or greater. This is achieved by having fail safes on SteemAuto to prevent over consumption by community upvotes. There is no fail safe for delegated upvotes. These members are a priority and they have the right and privilege to draw down the VP below 80%. The limit of 3 upvotes per member per day should prevent the VP falling too far below 80% but at this time there is no reason to prevent delegated members from receiving their upvotes. @blinkybill also has the ability to upvote comments and replies from members of the steemit community at will. These are done on an individual basis. @nathenial is dedicated to improving the VP of @blinkybill and believes strongly in the power of mutual benefit. The aim of @blinkybill bot is to support minnows transitioning onto the steem platform. @nathenial has supplied almost 500SP to the project thus far and is committed to continually providing SP from his main posting accounts. To increase the STEEM generated on these posting accounts @blinkybill will automatically upvote posts and comments from this accounts at @Nathenial’s discretion. The STEEM generated will be transferred to @blinkybill as soon as its available. Ultimately this makes @blinkybill bot stronger and the upvotes for delegated members stronger. The UpVoting strength is calculated very simply for delegated members. The total value of Delegated SP divided by the proportion of that members delegation. E.g. if "MEMBER X" delegates 100SP and the total SP pool is 1000SP that member would receive a 1/10th upvote or 10% upvote. @nathenial’s contributions combined with @blinkybill’s SP balance will not be used in this calculation although it contributes to the upvoting worth. The strategic goal is to always consume 20% of the VP per day without draining it below 80%. If this is done successfully it maximizes curation and upvoting rewards for members, @blinkybill and the wider community. @blinkybill really appreciates those members who have already joined up, anything new will go through some period of refinement before its perfect and we really appreciate the trust you have given us. If you have any suggestions or feedback (good or bad) please don’t hesitate to pass it on either through Steemit or our discord server. Congratulations! This post has been upvoted from the communal account, @minnowsupport, by nathenial from the Minnow Support Project. It's a witness project run by aggroed, ausbitbank, teamsteem, theprophet0, someguy123, neoxian, followbtcnews, and netuoso. The goal is to help Steemit grow by supporting Minnows. Please find us at the Peace, Abundance, and Liberty Network (PALnet) Discord Channel. It's a completely public and open space to all members of the Steemit community who voluntarily choose to be there.